I have another book that I received from Martingale and Company to share with you. 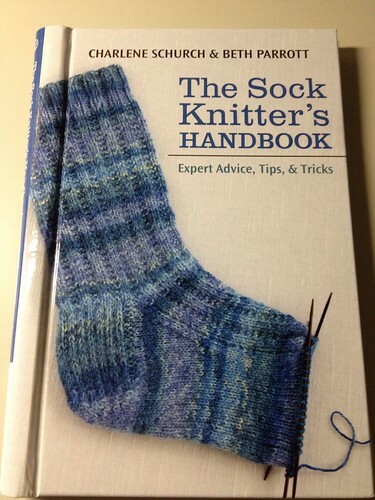 This week, it's The Sock Knitter's Handbook by Charlene Schurch and Beth Parrot. I cannot believe all the great information in this book. 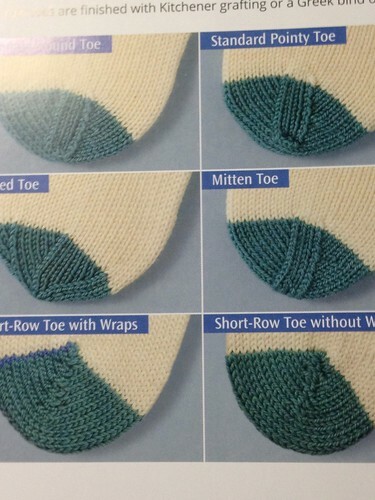 Lots of options for heels and toes and everything else you might want to change on a sock. There are tons of clear pictures and instructions for multiple stitch counts for each technique. And, while there are no actual sock patterns in this book, you are left with a bunch of new ideas on how to alter your favorite sock patterns with new ribbing, heels, toes, etc. 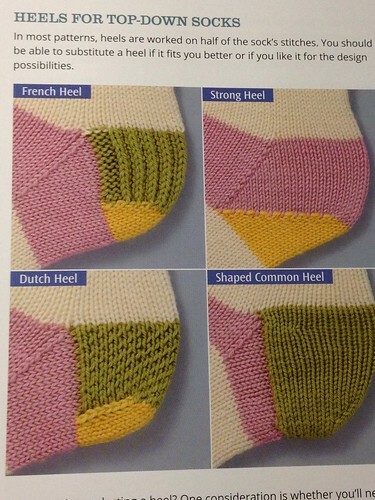 Seriously, I think every sock knitter would benefit from this book. I highly recommend it.